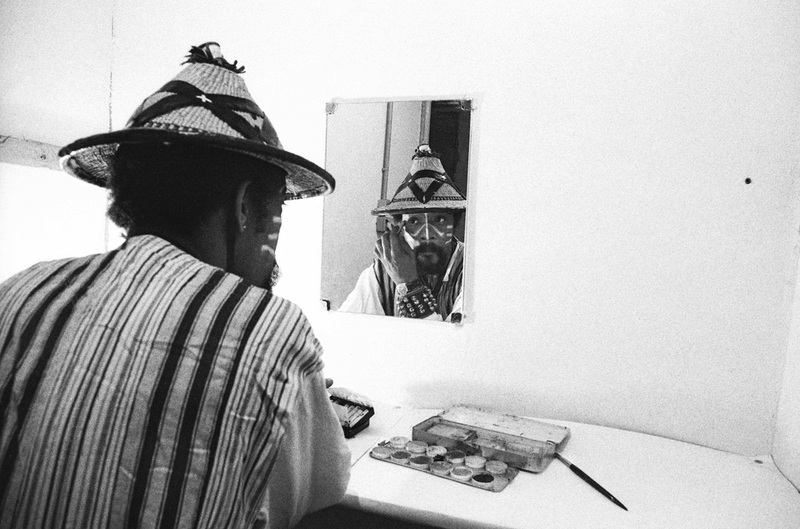 Joseph Jarman. Photo: Roberto Masotti / ECM Records. I FIRST MET JOSEPH JARMAN in 1961 after returning to Chicago from a tour of duty with the United States Army Band in Heidelberg, Germany. The two of us became acquainted while we were both under the tutelage of Richard Wang, Lela Hanmer, and Otto Jelinek at Wilson Junior College. Our peers at Wilson at that time included Malachi Favors, Henry Threadgill, Anthony Braxton, and Jack DeJohnette. It made a profound impression on me to all of a sudden be surrounded by these daring musical minds, and I drew inspiration from Joseph from the moment we met. I was able to experience his revelations firsthand in Muhal Richard Abrams’s Experimental Band, which rehearsed every Monday night at the C&C Lounge on Sixty-Fourth and Cottage Grove. Abrams encouraged all members of the band to write music and bring their compositions to rehearsals so they could be realized by the ensemble. This was an exhilarating time because it created an enriching learning environment where we could hear other members’ compositional ideas while developing our own. Joseph’s music followed a fascinating, unfamiliar trajectory and embarked on territory that I would eventually explore in my own career. I learned a lot from him about innovative musical architectures, and this knowledge helped inform our research in the Art Ensemble of Chicago. As time went on, Joseph and I each led our own quartets, performing concerts in Chicago. Joseph’s quartet consisted of him on woodwinds, Christopher Gaddy on piano, Charles Clark on bass, and Thurman Barker on drums. Eventually he added Fred Anderson on tenor saxophone and Billy Brimfield on trumpet. Joseph was always pushing the envelope. At one of our combined concerts at the Hyde Park Theater, he started his set with a duet performance featuring none other than John Cage. 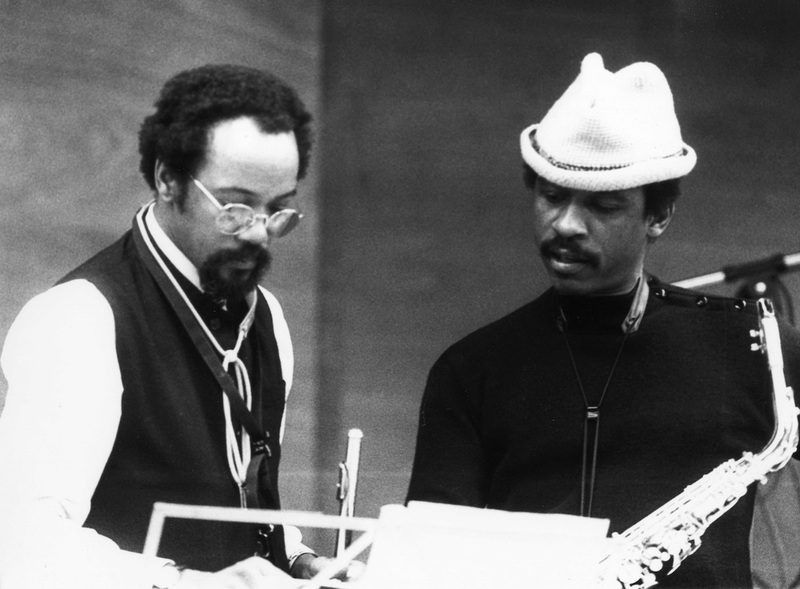 Joseph Jarman and Roscoe Mitchell. Photo: Dani Lienhard / ECM Records. After his quartet members Gaddy and Clark died in 1968 and 1969, respectively, I consulted with Lester Bowie (a member of my quartet) about asking Joseph to join us, as we were making preparations for a now-historic trek to Europe. Joseph had previously played music with us in the studio for a record released by the Nessa label in 1967 featuring Bowie, Favors, and me. Our recording of “Numbers 1 & 2” signaled the beginning of a long, fruitful musical relationship that would give rise to the Art Ensemble of Chicago. I was touched by Joseph’s poetry. While we were fellow members of the Art Ensemble, I was as fortunate as our audiences were to hear him recite his poem “Non-Cognitive Aspects of the City” during several of our performances. I felt moved to extend both the artistic possibilities of the poem and its legacy by setting it to music written for baritone and orchestra. Roscoe Mitchell is an internationally renowned musician, composer, and innovator, who serves as the Darius Milhaud Chair of Composition at Mills College in California. He is a founding member of the Art Ensemble of Chicago, the Association for the Advancement of Creative Musicians, and the Trio Space. He is also the founder of the Creative Arts Collective, the Roscoe Mitchell Sextet & Quartet, the Roscoe Mitchell Art Ensemble, the Sound Ensemble, the New Chamber Ensemble, and the Note Factory.